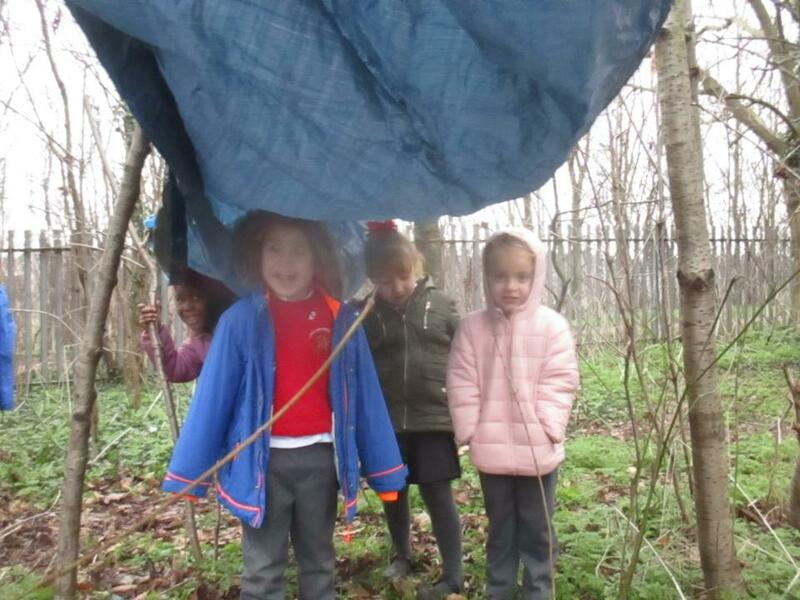 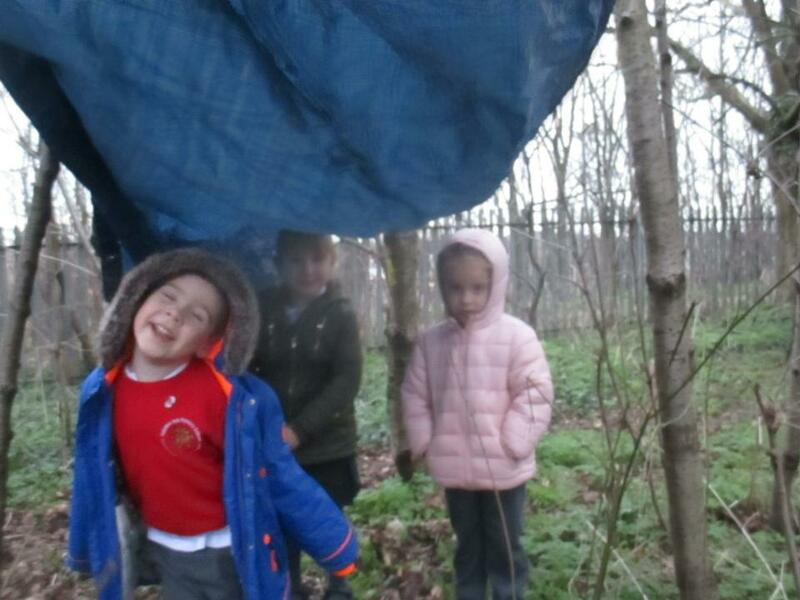 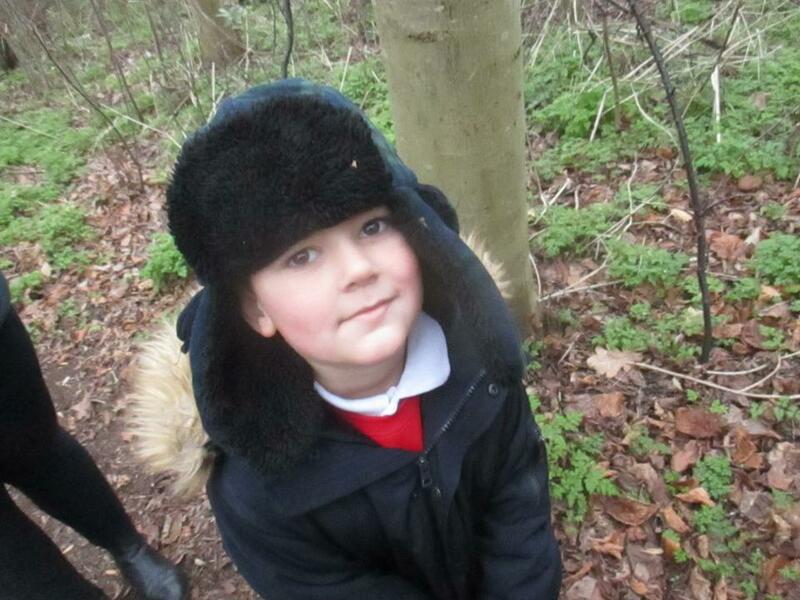 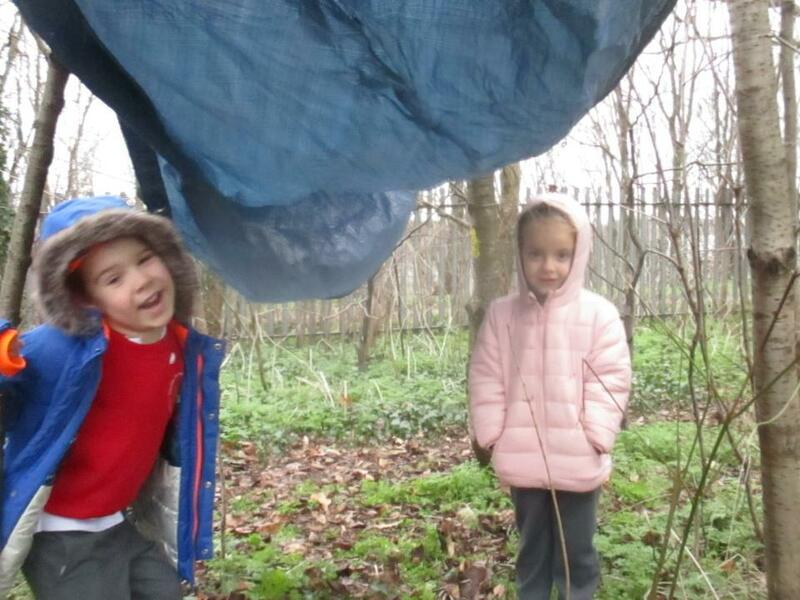 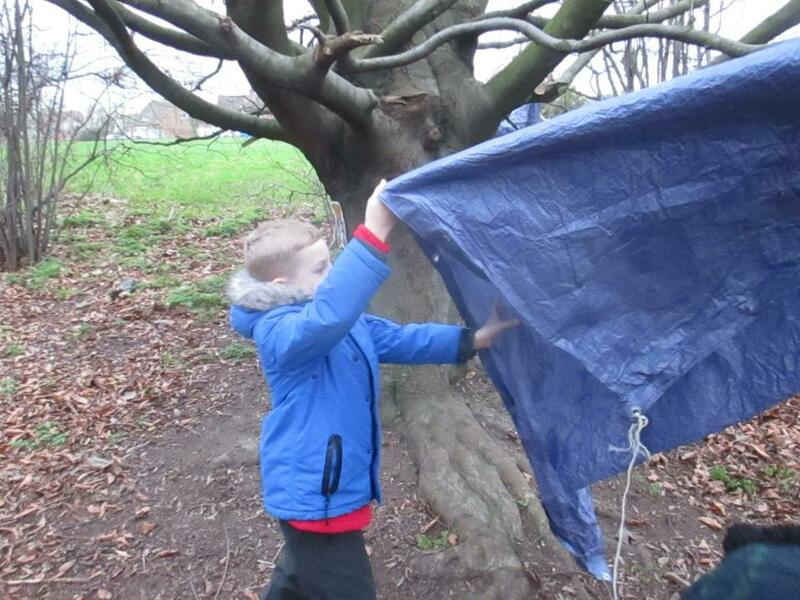 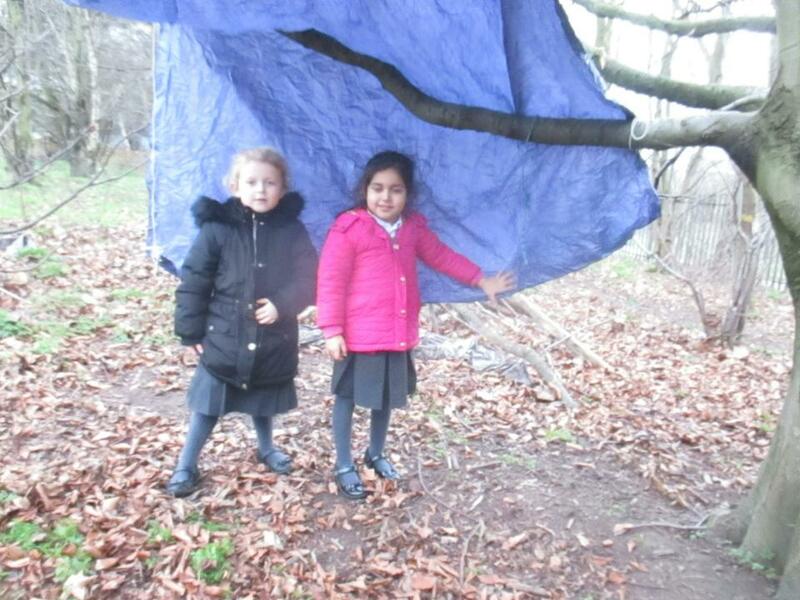 The children at Forest School Club this week have been busy making dens. 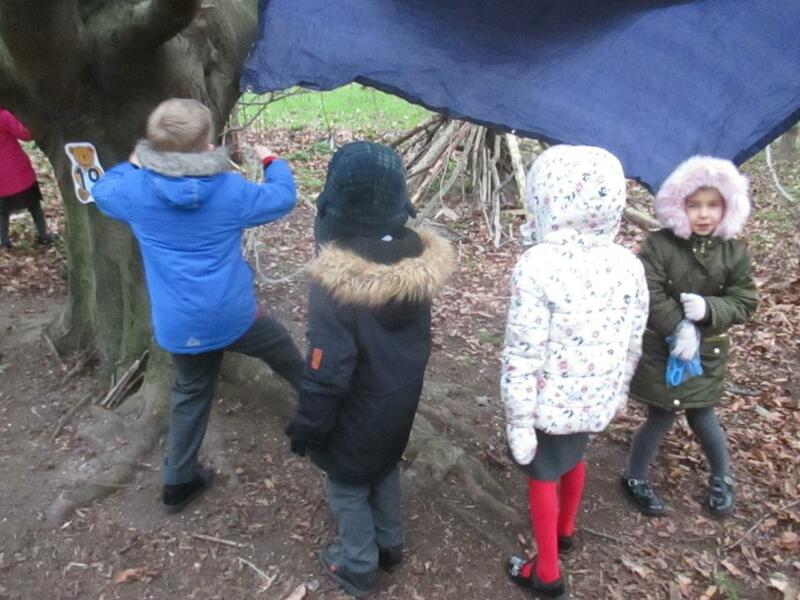 They worked as team to create a den that would fit all of their team inside as well as keep them dry! 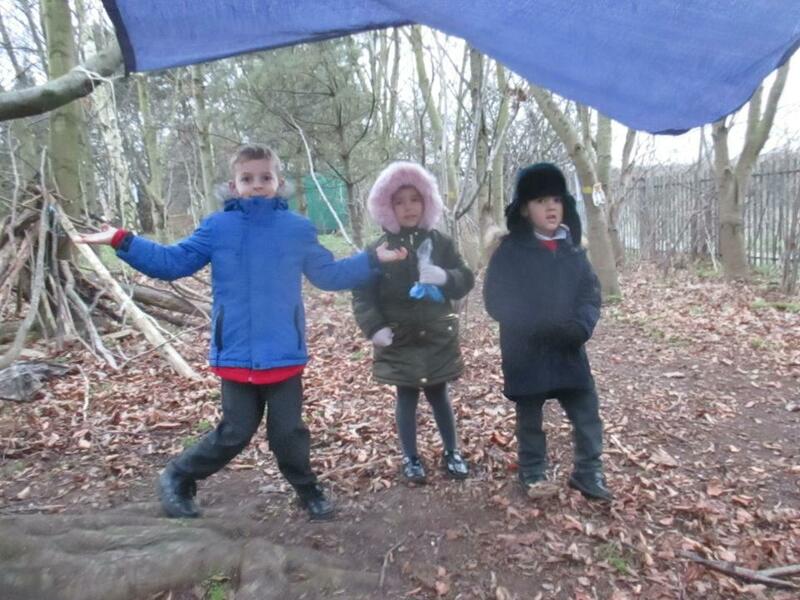 They did a brilliant job and showed great team work.